A king with more hubris than know-how. A working class fed up with the status quo. A woman destined to take back the kingdom. 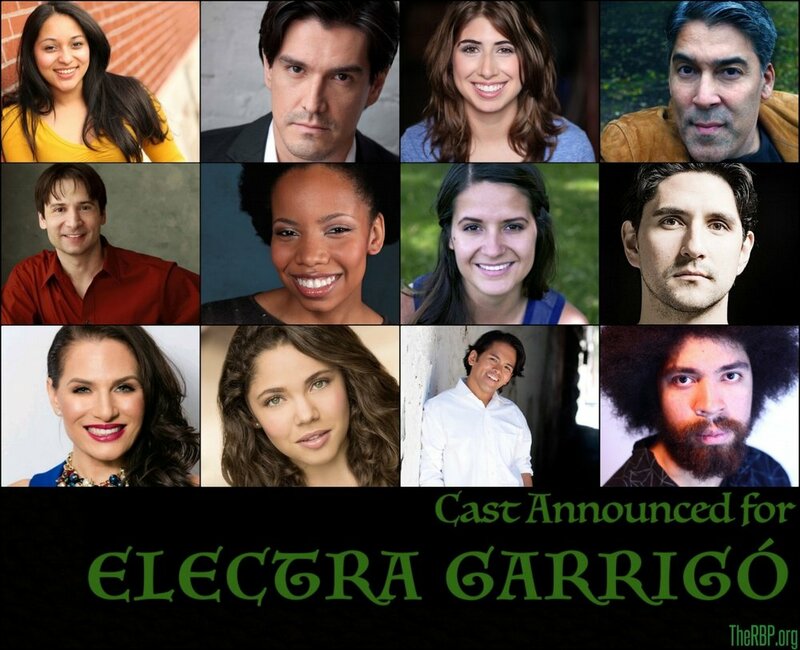 With ramifications that trail our modern American political landscape, The Right Brain Project is proud to announce the Midwest premiere of Virgilio Piñera’s Electra Garrigó, directed by Company Member, Kathi Kaity. On October 23rd, 1948, Electra Garrigó debuted in Havana, Cuba to an irate audience that declared the script was a “spitball thrown at Olympus”. A re-imagining of Sophocles' famous Greek tragedy, the show served as a harsh criticism of the Cuban totalitarian regime, and predicted the necessity of a Revolution that would follow in the next decade. While the show has been hailed a modern classic in its native country, a Midwest production has never been produced...until now. Why Electra Garrigó? I first read Electra Garrigó while living in Havana in 2011, and was immediately struck by the modernity and pertinence of this 75-year-old script. Piñera’s play illuminates the oh-so-scary fact that history tends to repeat itself (and its mistakes), allowing Ancient Greece and Bautista’s Cuba to be thinly-veiled cousins. Now history repeats again, as we experience tumult with our own political division. Many can critique rulership, but what makes Piñera’s work remarkable is that he manages to pair societal existentialism with a cheerful and graceful sense of humor. Audiences are steered away from nihilism and instead, called to action. Apart from its social relevance, Electra Garrigó is just a magnificently written script, jam packed with beautiful language, complex characters, and philosophical ideals. Its ability to say so much while remaining accessible always reminds me of Shakespeare, and I’m thrilled that Piñera’s work will be exposed to new audiences. 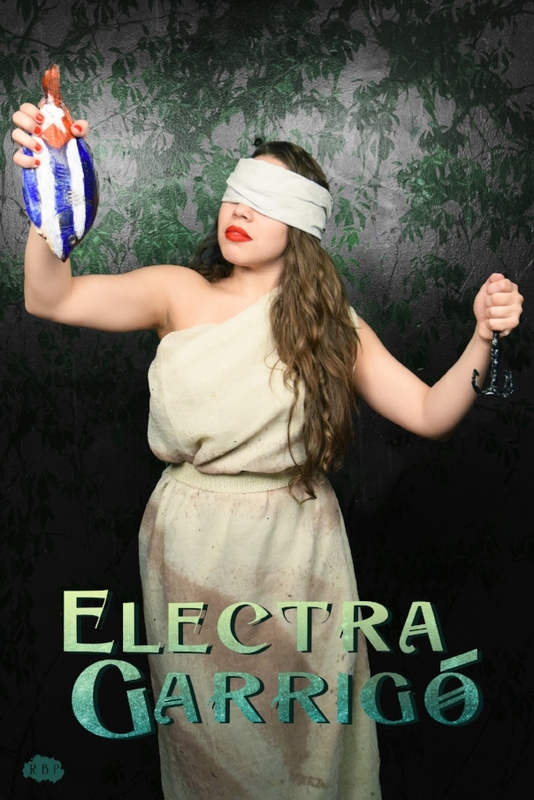 The Right Brain Project's 2017 production of Electra Garrigo will open March 16th and run every Thursday, Friday, and Saturday at 8PM at The Right Brain Project: 4001 N Ravenswood Avenue, Chicago IL. Closing night will be April 22nd. Click here for tickets! Curious to learn more about Cuba, Piñera, and the production, click here to visit our virtual lobby display! Virgilo Piñera (1912-1979) was a Cuban author, playwright, poet and essayist. Seeing the intersections between art and politic, Piñera used his writing to voice discontent with totalitarian regimes. He wrote Electra Garrigó in 1942 as a call for political rebellion, unknowingly predicting the revolution that would occur in the next decade. He was a member of the “Origenes” literary group, and co-founded the journal Ciclón in 1955. After being exiled to Buenos Aires for his beliefs, he returned to Cuba in 1958, on the eve of the Cuban Revolution. Continuing his penchant for holding his government accountable, Piñera was present at Fidel Castro’s famous “Words to the Intellectuals” speech, and was first to voice his apprehension about the inclusion and freedoms under the new regime. He was briefly jailed in 1961 for “political and moral crimes”. Due to his radical politics and homosexuality, Piñera continued to be censured by his country’s rulers and died without any official recognition. Posthumously, his work has been rediscovered and celebrated in his native country and continues to grow popularity. His other works include Cuentos fríos, La carne de René, Presiones y Diamantes , Las pequeñas maniobras , and Dos viejos pánicos. Kathi Kaity joined The Right Brain Project in 2014 as Marketing Director. Originally from Boston, Kathi moved to Chicago after receiving her Bachelors in Theatre and Literature from Hampshire College in 2012. During her undergrad, she moved to Havana to study theatre under the mentorship of Celia Cedeño, UNEAC member and Cuban Minister of Entertainment. Kathi’s time abroad heavily influenced her creative work, steering her towards a fascination with political theatre and identity exploration. In addition to directing, she also produces, writes, and performs. Credits include The Dancing Plague, OH GAWD, Alice, Neverlanding, Almost, Seguimos (short film) The Pillowman, Disgraceland (web series) and Drawn to Water. She has also worked with Stage 773, Prop Theatre, iO, and the Neofuturists.